Didn't Scrutiny used to do this? Yes, but when the w3c validator's 'nu' engine came online, it broke Scrutiny's ability to test every page. 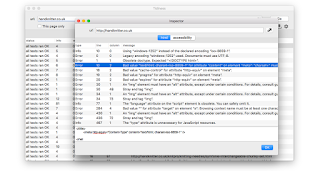 The 'nu' engine no longer returned the number of errors and warnings in the response header, which Scrutiny had used as a fast way to get basic stats for each page. 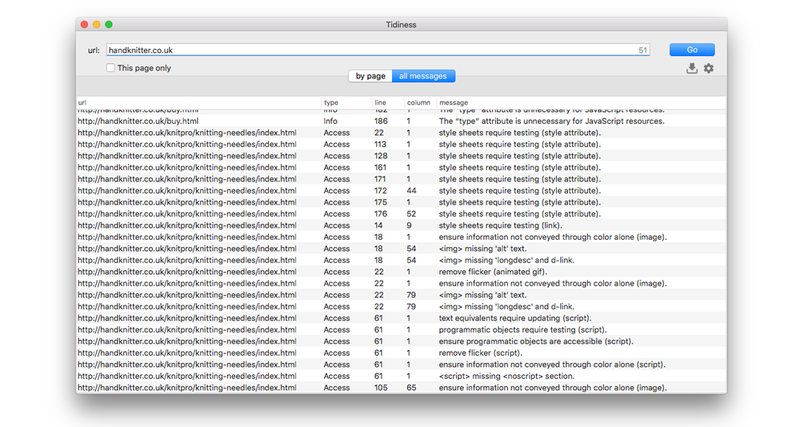 It also stopped responding after a limited number of requests (some Scrutiny users have large websites). 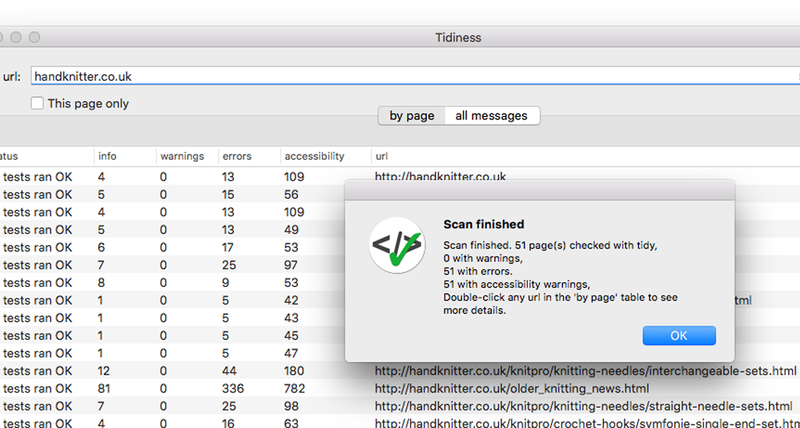 After exploring some other options (notably html tidy, which is installed on every mac) it appears that the W3C service now offers a web service which is responding well and we haven't seen it clam up after a large number of fast requests (even when using a large number of threads). 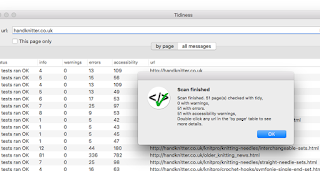 The work in progress is called Tidiness (obviously a reference to tidy, which we've been experimenting with). 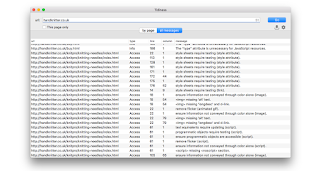 It contains a newer version of tidy than the one installed on your Mac. 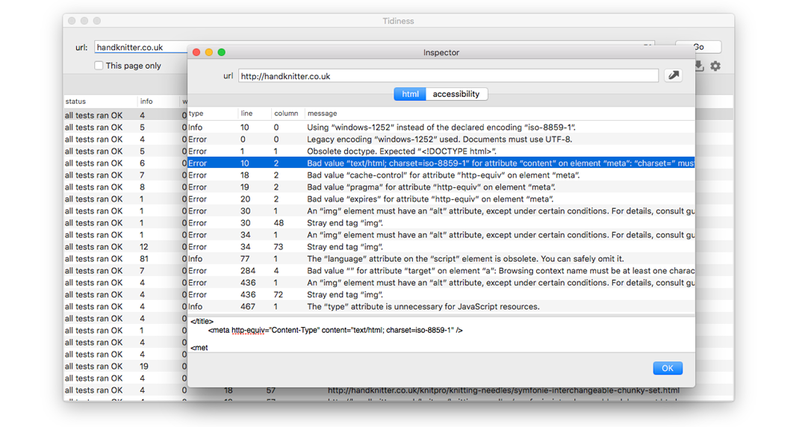 However, the html validation results are useful but not as definitive as the ones from the W3C service. So Tidiness as it stands is a bit of a hybrid. It crawls your website, passing each page to the W3C service (as a web service). If you like you can switch to tidy for the validation, which makes things much quicker as everything is then running locally. If you like, you can simultaneously make accessibility checks at level 1,2 or 3, with all of the results presented together. This app is now available for you to try as a beta. It's early days, so please be nice. Here are some shots.